“Natural selection, the blind, unconscious, automatic process…has no purpose in mind. It has no mind and no mind’s eye. It does not plan for the future. It has no vision, no foresight, no sight at all. If it can be said to play the role of watchmaker in nature, it is the blind watchmaker.” Richard Dawkins, The Blind Watchmaker: Why the Evidence of Evolution Reveals a Universe without Design. Biology is replete with improvised and adapted systems that may not be logical but work sufficiently well under prevailing environmental circumstances to ensure survival of a species and be handed down (conserved) in the evolutionary chain. An example of this appears to be the signaling mechanisms that enhance growth which ironically also increase the likelihood of age related disease and an earlier death. Growth is enhance by abundant nutrients which along with insulin/insulin like growth factor (IGF) pathways activate the critical controller, mTOR that promotes growth and cell division but also suppresses mobilization of internal food stores including glucose, lipids and amino-acids by a process called autophagy. Autophagy is also adapted to perform another vital life process which is refuse disposal and cellular house cleaning: critically important in maintaining efficient energy production from mitochondria by recycling of malfunctioning components of the electron transport chain which can produce oxidative stress and cell damage if not constantly renewed. To a large extent aging diseases are caused by mitochondrial dysfunction and intracellular garbage accumulation that lead to cellular dysfunction and programmed cell death (apoptosis). The most common causes of death in past generations have been infections, trauma and starvation but this has changed over the last century and now non communicable diseases associated with aging such as heart attacks, strokes, cancer, loss of nerve, bone and muscle cells, etc., cause most deaths, disability and suffering and they consume huge financial and emotional resources. Furthermore organ degeneration once occurred is largely irreversible and treatments are expensive and of marginal benefit, therefore understanding aging and prevention of age related diseases are an imperative public health concern. However, age related diseases while more frequent with aging also occur at all ages and, for lifestyle related reasons, are becoming increasingly common in children, adolescents and young adults. The process of life generates large amounts of redundant and damaged protoplasm that has to be recycled and repaired on a daily basis and defects in protein recycling are key to premature degenerative conditions as well as age related diseases: for instance recovery from injury is much more rapid in younger individuals and healing takes longer with increasing age. Neuronal degeneration so common in the very old is now seen in adolescents unfortunate enough to have obesity and early signs of adult onset diabetes (3). Two recent epidemiological studies warn of potential dangers associated with relatively higher dietary protein consumption: In Swedish women higher protein relative to carbohydrate intake was associated with an increase in incidence of cardiovascular diseases (4) and another observational study on the effect of macronutrient composition of diets found protein content to be the only significant predictor of increased obesity (5). These associations may have some plausibility in view of recent findings on amino-acid regulation of autophagy. Note that autophagy is key process in detoxifying cells as described in the section on Cell Refuse Disposal. An abundance of amino-acids quickly suppresses autophagy (6) as does an abundance of glucose via insulin (7) both by separate pathways impacting mTOR, the master controller of autophagy. In very broad terms, aging and many of the diseases related to aging are caused by deterioration in various aspects of cell function that lead to cell death and inflammation. Increasing degrees of mitochondrial dysfunction leading to widespread disruption of mitochondrial integrity within the cell is one of the final events in cell death. One must appreciate the highly dynamic state of protein recycling in order to understand how critical autophagy relates to cell function; for instance mitochondria are the pivotal components of cells that generate energy and they are subject to wear and tear necessitating complete recycling over a 20 to 30 day time frame. Dysfunctional components of mitochondria split off by fission from larger networks and are engulfed in “autophagosomes” broken down and their amino-acids and other building blocks recycled for mitochondrial resynthesis. Autophagy is therefore critical to quality control of mitochondrial function which if left to deteriorate results in cell death. In the wider context of the whole organism excessive rates of cell death can overload the scavenging (immune) system and lead to inflammation in various organs and tissues that are the hallmarks of age related diseases such as atherosclerosis, neurodegeneration, arthritis and so on. Two aspects of recent food trends combine to impact autophagy via its regulator mTOR: chronically high glucose and insulin levels and, to a lesser degree, excessive protein consumption. Just as it was a mistake of the last 40 to 50 years to replace fat with carbohydrates it would be ill-advised to replace carbohydrates with protein. The bottom line as far as dietary advice on protein consumption is that a level of 0.8 gm/kg body weight may be ideal (8). This amounts to just 56 gms (2 oz) of protein a day, much more than we might be accustomed to in our typical Western Diet whereas protein supplementation at least for mature adults is likely to do much more harm than good. 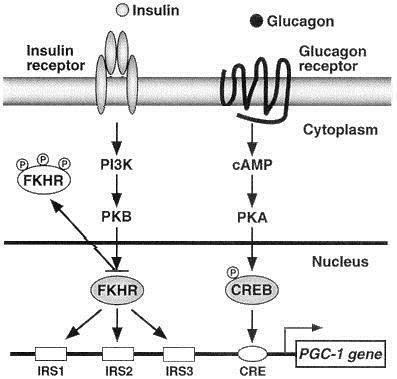 There is however a strategy to achieve multiple worthwhile biological objectives at the same time in view of most recent evidence on the benefits of prebiotics and the dangers of hyperglycemia/hyperinsulinemia: the replacement of high glycemic carbohydrates (rapidly digested carbohydrates) with those resistant to digestion i.e. fiber. 1. Blagosklonny., Mikhail V. MTOR-driven quasi-programmed aging as a disposable soma theory. Blind watchmaker vs. intelligent designer. . s.l. : Cell Cycle 12:12, 1842–1847; June 15, 2013; © 2013 Landes Bioscience. .
2. Antero Salminen, Kai Kaarniranta, Anu Kauppinen. Inflammaging: disturbed interplay between autophagy and inflammasomes. . s.l. : AGING, March 2012, Vol.4 No.3. 3. Ageing brain abnormalities in young obese patients with type 2 diabetes: a cause for concern. Nolan, J. J. s.l. : Diabetologia, 2010, Vol. 10. DOI 10.1007/s00125-010-1890-x. 4. Lagiou, Sandin, Weiderpass, et al. Low carbohydrate-high protein diet and incidence of cardiovascular diseases in Swedish women: prospective cohort study. . s.l. : BMJ 2012;344:e4026. 5. Vergnaud A-C, Norat T, Mouw T, Romaguera D, May AM, et al. Macronutrient Composition of the Diet and Prospective Weight Change in Participants of the EPIC-PANACEA Study. s.l. : PLoS ONE (2013) 8(3): e57300. doi:10.1371/journal.pone.0057300. 6. Efeyan, Zoncu, Sabatini. Amino acids and mTORC1: from lysosomes to disease. s.l. : Trends Mol Med. 2012 September ; 18(9): 524–533. doi:10.1016/j.molmed.2012.05.007. 7. Emilie Vander Haar, Seong-il Lee, Sricharan Bandhakavi, Timothy J. Griffin, Do-Hyung Kim. Insulin signalling to mTOR mediated by the Akt/PKB substrate PRAS40. . s.l. : Nature Cell Biology 9, 316 – 323 (2007) | doi:10.1038/ncb1547. 8. Edda Cava, Luigi Fontana. Will calorie restriction work in humans? . s.l. : AGING, July 2013, Vol. 5 No.7. http://www.impactaging.com.